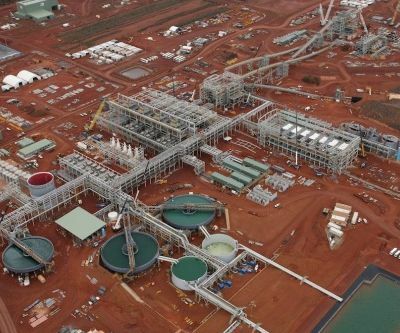 Australia's Gindalbie Metals Ltd. (ASX: GBG) opened its new iron ore Karara project in the country's mid-western region on Tuesday. The mine site, which is located approximately 225 kilometres east of the port city of Geraldton, is the second largest magnetite project in Australia and the largest resource development in the Mid West. Production is currently being ramped up to its capacity of eight million tonnes per year of high grade magnetite iron ore. Hematite iron ore output is currently two million tonnes per year. The Karara project is a joint venture with China's AnSteel, which holds a 50% stake.